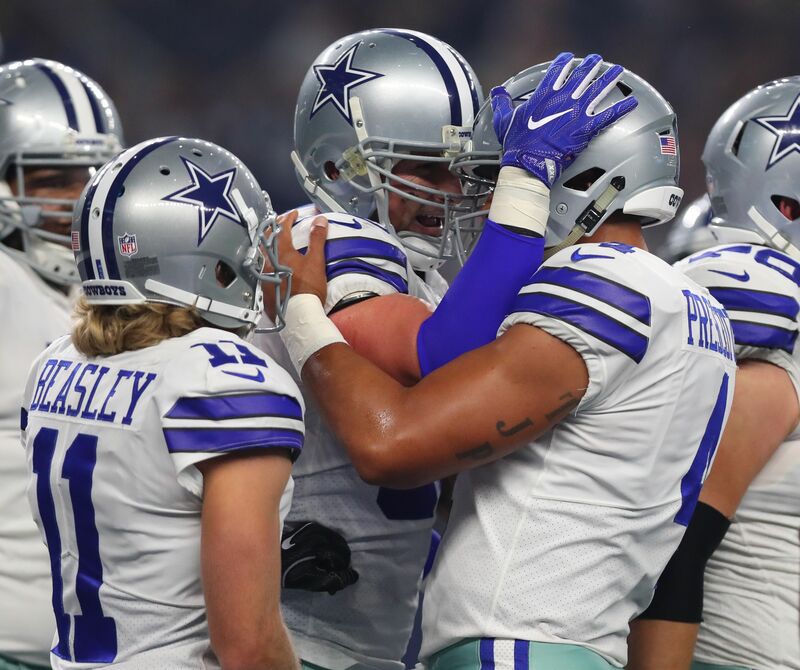 On Sunday night at AT&T Stadium, the Dallas Cowboys defeated the New York Giants. What did we learn from this Week 1 showdown? So much for the New York Giants having the Dallas Cowboys’ number. On Sunday night at AT&T Stadium, the defending NFC East champions stifled Eli Manning and company, 19-3. It was sweet revenge for Jason Garrett’s club, which was swept by the Giants a year ago. It was also a big night for Cowboys’ veteran tight end Jason Witten. He scored the only touchdown of the game and became the franchise’s all-time receiving yardage leader. Other than that, it was another ho-hum outing for New York’s offense dating back to last season. The second-year signal-caller was sharp against the formidable New York defense. Prescott connected on 24 of this 39 throws, good for 268 yards and the game’s only touchdown – a 12-yard toss to Jason Witten. He also ran three times for an additional 24 yards The Cowboys ran 71 plays for 392 yards and controlled the football for 34:14. The New York offense was basically a no-show on Sunday night and Lawrence had a big hand in that. He finished with five tackles (3 for losses) and two sacks. The much-maligned Dallas’ defense limited New York to 233 total yards and kept the Giants out of the end zone. If there was a bright spot for Ben McAdoo’s club, it was the play of arguably the league’s best run-stopping interior defender. Yes, the Cowboys reached the century mark on the ground. But Dallas’ front line had a tough time trying to stop the burly Harrison, who snacked on Jason Garrett’s guards and center this evening and finished with five tackles. Garrett’s Cowboys opened as a 5.5-point favorite for the NFC East showdown and when it was all said and done, easily covered the number. And if you took the under in this contest (47.5), you had to be feeling pretty comfortable all evening. For the second consecutive week, the New York Giants will have to be ready for prime time. The Detroit Lions visit MetLife Stadium next Monday evening. Meanwhile, the Dallas Cowboys hit the road and will clash with the Denver Broncos. The latter will be coming off a Monday night showdown with the Los Angeles Chargers.